We can always use a little bit more luck! These fortune cats attract good fortune and harmony. This cat ornament is portable so you can attract luck wherever you go. 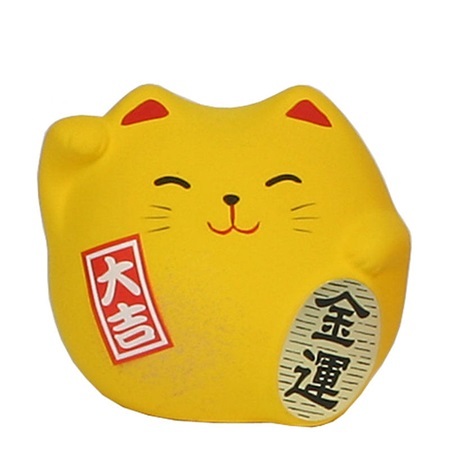 Place the yellow cat in the west for good financial health! Collect all cats to ensure a complete balance of good fortune in all aspects of life! 2.5" x 2" x 2.25"h.